13 January 2006. Guided by security personnel, Albert Hofmann, the father of LSD, bent by a century to a height of barely five feet, took the stage on crutches. Almost two thousand people rose from their chairs in the Basel Convention Center. Thunderous applause. Dozens of photographers and cameramen-professional and hippie-were jostling in front of the centenarian birthday boy (see figure 1). The LSD Symposium took place in honor of Hofmann's one-hundredth birthday. But it also served as a fair of the contemporary world of psychedelia, presenting itself in front of two hundred journalists who had come to cover the event. Fragile, but quite sprightly for his age, probably the only person in the hall wearing a tie, Hofmann briefly raised his hand to greet the crowd before sitting down with one of the organizers, a lively and stout middle-aged man with a full voice, president of the Psi Society Basel, a specialist for spiritual healing and otherwise involved in organizing trade fairs for esoterics. He asked Hofmann to tell one more time how he discovered his "problem child" and "wonder drug," LSD. Hardly a newspaper article or TV program preceding or following this spectacular celebration did not begin its report with this almost mythological origin story. In the 1930s, the research chemist Hofmann developed new ergot alkaloids for the Swiss pharmaceutical company Sandoz. They were meant to stop bleeding after childbirth. Hofmann created a number of derivatives from lysergic acid, the molecular core of ergot. In 1938, he synthesized the twenty-fifth substance in this series of compounds: lysergic acid diethylamide, abbreviated LSD-25 (after the German Lysergsäurediäthylamid). The substance was tested on animals. They became restless and a strong effect on the uterus was established, but as neither the physicians nor the pharmacologists of Sandoz were particularly interested in the substance, these preclinical trials were discontinued. However, five years later-by now the rest of Europe was engulfed in war-Hofmann (1983: 14) followed what he called "a peculiar presentiment," a hunch, "that this substance could possess properties other than those established in the first investigations." He noted that "this was quite unusual; experimental substances, as a rule, were definitely stricken from the research program if once found to be lacking in pharmacological interest" (14). To make a long story short, Hofmann must have contaminated himself with a small amount of this highly potent substance, and he experienced an uninterrupted stream of fantastic pictures, extraordinary shapes with an intense, kaleidoscopic play of colors. Three days later, he conducted a self-experiment, ingesting what he (falsely) believed to be a small dose, and he experienced the first full-blown LSD trip in human history. The reason why this story is recounted over and over again is not the heroism of Hofmann's self-experiment-self-administration was not uncommon in pharmacology at the time-but his claim to have followed a "peculiar presentiment" when taking the seemingly insignificant compound from the shelf again (see, e.g., Nichols 2006). He discovered its mind-blowing effects accidentally because of a little sloppiness in his usually meticulous chemical bench work. This led Hofmann to conclude that he did not find LSD but that it was LSD that found him. It must have been divine providence, not scientific method, admitting us to the enchanted world behind the "doors of perception." However, Hofmann, who had had his first mystical experience as a boy walking in the forest, was quick to add that one did not need LSD anymore once the gateway had been opened in one way or another. His greatest hope was that one day state-controlled meditation centers would provide LSD to facilitate the spiritual development of those seeking access to this experiential plane. But, he said, he did not want to be a guru telling others what to do. The organizer closed the opening ceremony by saying, "Dear Albert, you're certainly the very best example to show that what you discovered is no infernal stuff!" Hofmann was presented with an enormous bunch of red roses. He expressed his thanks by saying that he was particularly grateful for the flowers, as our connectedness with other life forms, including plants, had become more and more important to him in recent years: "The feeling of co-creatureliness with all things alive should enter our consciousness more fully and counterbalance the materialistic and nonsensical technological development in order to enable us to return to the roses, to the flowers, to nature, where we belong." Tumultuous applause again. Many of the media reports on Hofmann, his pharmacological problem child, and the three-day conference, with its abundance of lectures, discussion panels, workshops, and stalls, proclaimed a comeback of hallucinogen research. After its discovery in 1943, the story went, LSD soon escaped the walls of the laboratory. Its propagation by irresponsible scientists like Timothy Leary and its widespread abuse by the hippies was said to have eventually led to the criminalization of LSD and other hallucinogens in the 1960s. After scientific research on this class of drugs had subsequently been repressed for more than two decades, a more pragmatic attitude had finally gained the upper hand. Since the 1990s, it had given rise to a revival of hallucinogen research. Thus the framing of the event. The proponents of this resurgence gathered at the LSD Symposium. A minority among the crowds of old hippies, New Age disciples, and psychedelic geeks, these brain researchers, pharmacologists, and psychiatrists used the occasion of Hofmann's hundredth birthday to demonstrate the restored vitality of their scientific field. Many of the preclinical and clinical studies conducted in recent years were, for the first time, presented to a broad audience and received a significant amount of media attention. Even though many of the so-called psychedelic elders were still present, a new generation of American and European hallucinogen researchers had taken over, introducing these "magic drugs" into the age of cognitive neuroscience. But what exactly was being revived? And how was the revival different from the historic era, which it sought to resume? In the mid-twentieth century, hallucinogenic drugs came to play a key role in psychiatric and psychopharmacological research. Much has been written about this important chapter in the history of science and medicine. Let me briefly recapitulate to lay the ground for my account of the current revival of psychedelic science. Hallucinogens became an object of scientific investigation in the course of the nineteenth century as Europeans and Americans observed their uses in other cultures. The French psychiatrist Jacques-Joseph Moreau de Tours brought hashish from a trip to the Orient, which, in the 1840s, he used to both model and treat mental illness. The spreading use of peyote among Native Americans in the second half of the century led US and English researchers like Silas Weir Mitchell or Henry Havelock Ellis to study the effects of the cactus. Through a series of self-experiments, the German chemist Arthur Heffter identified and isolated mescaline as its pharmacologically active principle in 1897. And two decades later, his colleague Ernst Späth managed to synthesize the substance (Perrine 2001). From the 1920s onward, German and French psychiatrists such as Kurt Beringer, Ernst Joëll, Fritz Fränkel, and Alexandre Rouhier returned to Moreau's psychopharmacological modeling of mental disorders, administering mescaline instead of hashish to healthy subjects. After LSD was discovered in 1943, it was first used in this tradition of experimental psychiatry. But Hofmann's chance find also marked the beginning of a profound transformation of the field. In the course of the 1950s, more than 750 scholarly articles were published on LSD alone. During this period, the first antipsychotic chlorpromazine and the first tricyclic antidepressant imipramine were discovered as well. This second wave of biological psychiatry differed from its predecessor in that the "psychopharmacological revolution" of the 1950s left behind the therapeutic pessimism prevalent in the late nineteenth century (Shorter 1997). The cerebral substrate of mental illness no longer seemed to be a matter of fate but rather a target of biomedical intervention (Rose 2007). When it was found that chlorpromazine could antagonize some of the effects of LSD, an experimental system emerged that seemed to allow exploration of causes as well as potential treatments of schizophrenia in the laboratory. Model psychosis research was no longer confined to mimicking the experience of mental illness but turned into a quest for its biochemical cause: a psychotogenic molecule resembling LSD or mescaline. Psychiatry finally seemed to get a chance to meet the scientific standards and therapeutic expectations set by other medical specialties (Caldwell 1970; Ulrich and Patten 1991; Novak 1997; Thuillier 1999; Vannini and Venturini 1999; Healy 2002: 107; Langlitz 2006a; Dyck 2008: 32-52). In brain research, this sudden upswing of psychopharmacology supplemented anatomical and electrophysiological conceptions of the brain with a neurochemical one. In contrast to mescaline, which was only psychoactive in doses of several hundred milligrams, LSD was active in the microgram range. The fact that extremely low doses could have such profound pharmacological effects strongly supported the emergent theory of neurotransmission and spawned the "dream of molecular specificity": if the number of molecules were not enough to swamp the entire brain, there had to be specific sites of action; neurotransmitters and drugs had to fit into receptors like keys into locks (Healy 2002: 180; Rose 2007: 199-200). The finding that LSD, with a core structure closely resembling that of serotonin, turned out to antagonize the effects of serotonin was soon used to explain its psychotomimetic qualities and helped to establish a tight connection between brain chemistry and behavior (Green 2008). The sociologists Joëlle Abi-Rached and Nikolas Rose (2010) have shown how this new "neuromolecular gaze," breaking up the holism of psychic life into a multiplicity of receptors, neurotransmitters, ion channels, second messengers, and membrane potentials, eventually led to the birth of the neurosciences in the 1960s. 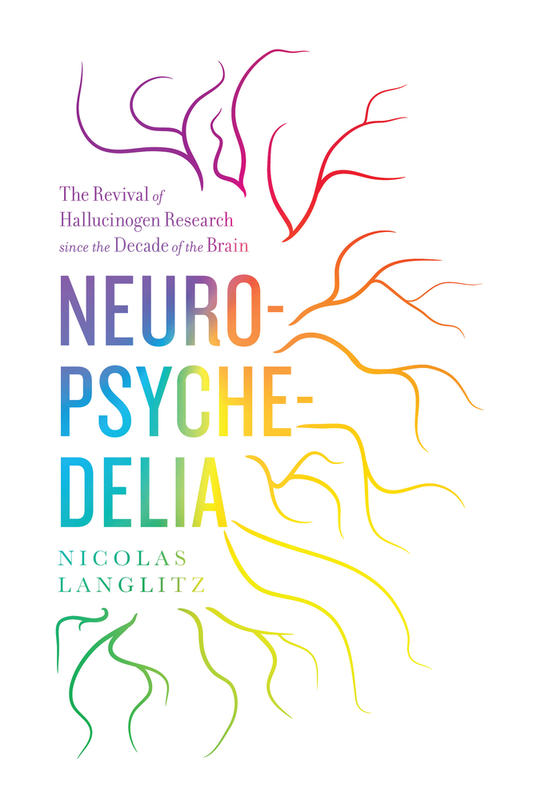 Neuropsychedelia examines the revival of psychedelic science since the "Decade of the Brain." 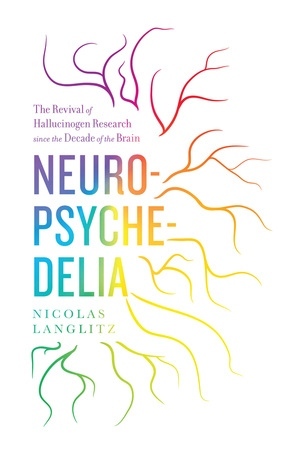 After the breakdown of this previously prospering area of psychopharmacology, and in the wake of clashes between counterculture and establishment in the late 1960s, a new generation of hallucinogen researchers used the hype around the neurosciences in the 1990s to bring psychedelics back into the mainstream of science and society. This book is based on anthropological fieldwork and philosophical reflections on life and work in two laboratories that have played key roles in this development: a human lab in Switzerland and an animal lab in California. It sheds light on the central transnational axis of the resurgence connecting American psychedelic culture with the home country of LSD. In the borderland of science and religion, Neuropsychedelia explores the tensions between the use of hallucinogens to model psychoses and to evoke spiritual experiences in laboratory settings. Its protagonists, including the anthropologist himself, struggle to find a place for the mystical under conditions of late-modern materialism. Nicolas Langlitz is Assistant Professor at the New School for Social Research. He is the author of Die Zeit der Psychoanalyse: Lacan und das Problem der Sitzungsdauer.